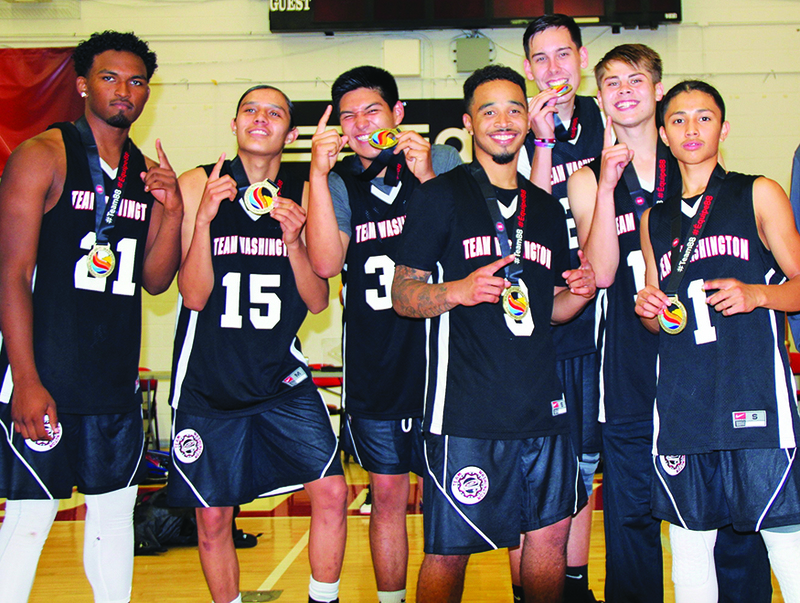 The 19U Team Washington men’s basketball team competing at the North American Indigenous Games (NAIG) features Robert Miles, Bryce Juneau, and Darion Joseph in the starting lineup. 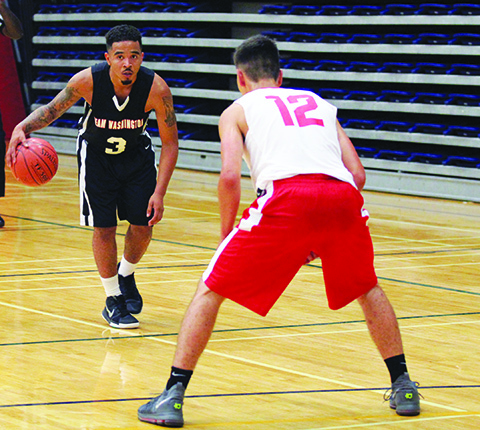 That’s three Tulalip tribal members who have been playing basketball since they were able to dribble a basketball. 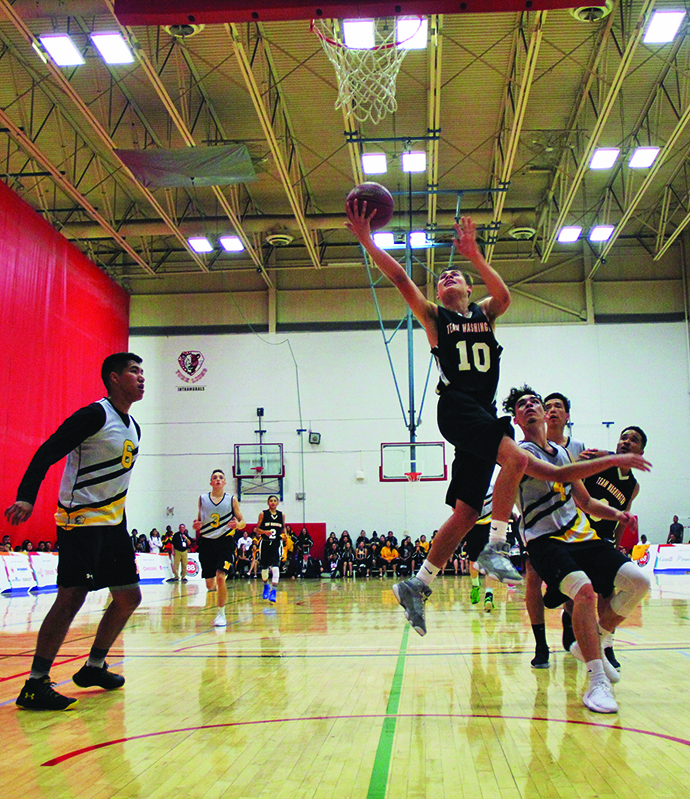 They were perfect for the team as they are all too familiar with the up-tempo, high intensity flow of rez ball. 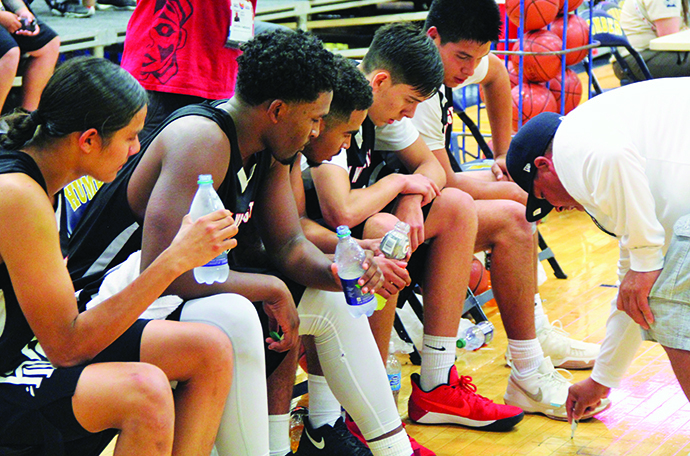 Their natural chemistry that comes from playing with one another since club teams in their Elementary school days is an added benefit as well. 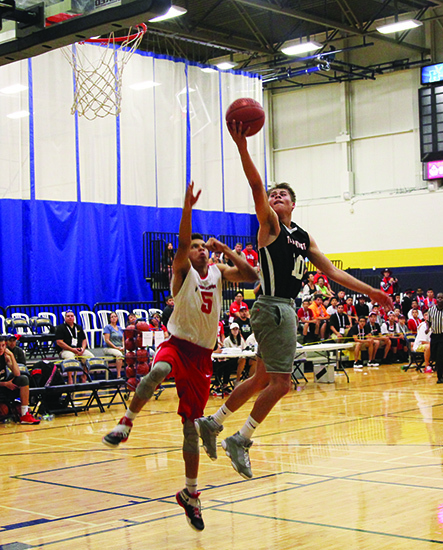 On Monday, July 17 Team Washington squared off with Team Wisconsin in the opening game of pool play. 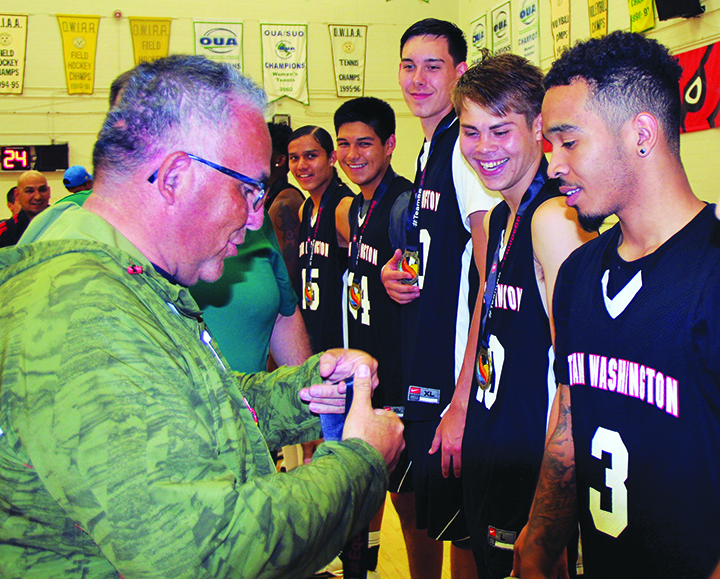 Wisconsin featured several players who took Gold at the previous edition of NAIG in 2014, so the game was expected to be highly competitive with Washington having their own expectation of making it to the medal round. 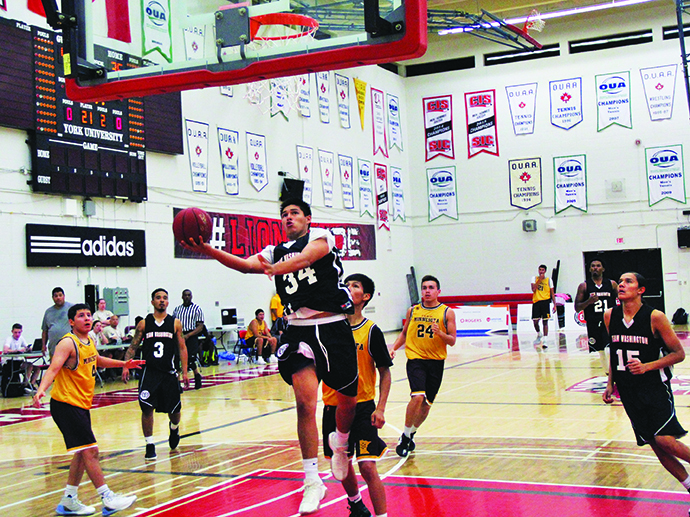 The game was played at Humber College in Toronto, Canada. Washington opened up the game playing 2-3 zone defense, while Wisconsin employed man-to-man defense. Wisconsin came out firing from 3-point territory against the zone and quickly took a 7-0 lead. 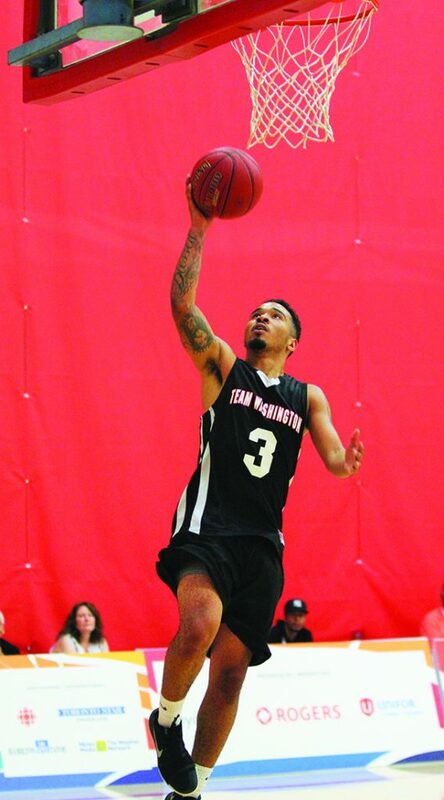 However, Washington eventually settled in and forced several Wisconsin turnovers that led to transition buckets. The good guys ended the 1st quarter on an impressive 14-3 run, including 4 points each by Robert and Darion, to take a 14-10 game lead. In the 2nd and 3rd quarters, the gold medal experience of Wisconsin showed. 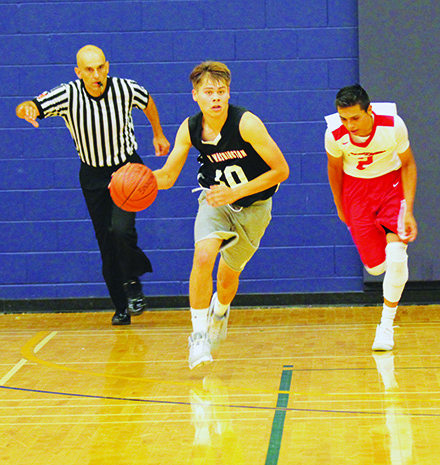 They continued to execute against the zone defense by hitting long-range shots and making running floaters in the lane. During the same time frame, Washington struggled to keep up with its own offense. 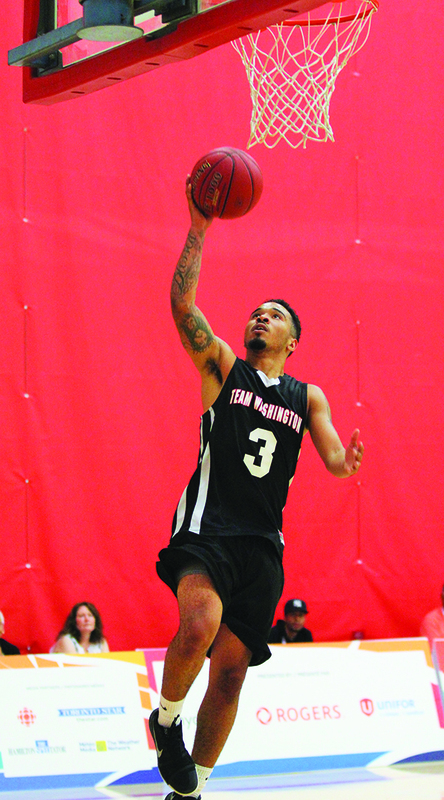 Washington trailed 31-54 with 1:10 remaining in the 3rd quarter, the 23 point deficit was the largest of the game. Down by 20+ points with one quarter to go usually leaves the trailing team defeated and without fight. But this wouldn’t be the case for a team with Robert, Bryce, and Darion. They’ve come back from large margins before and knowing it could be done they’d try to do it again. 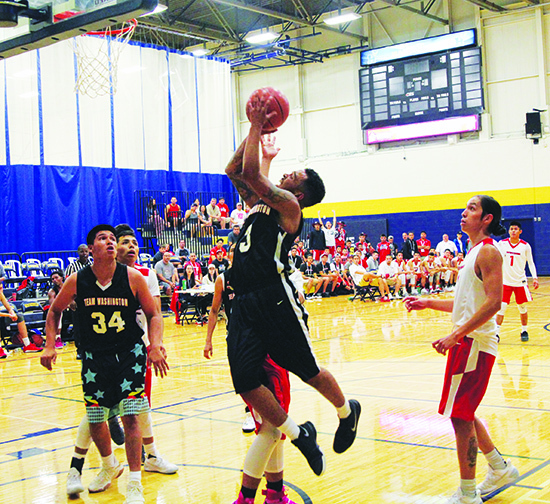 Coming out with a sense of urgency in the 4th quarter, the three Tulalip boys led the charge with a frantic offense pace – all go, no hesitation. They combined to score 20 points while playing aggressive, lockdown defense in an amazing display of resiliency and teamwork. The no quit attitude had Wisconsin on their heels, as Washington cut the once 23 point deficit to only 6 points, 66-72 with just under two-minutes remaining. Washington’s comeback fell just short though. There just wasn’t enough time left as Wisconsin held the ball as much as they could to eat up the game clock. Washington lost 69-73, and left the gym thinking they gave the W away. Following the game Bryce, Robert and Darion all shared the same sentiment: how well they played as a team down the stretch was how they’d play going forward and they were determined to still make the medal round.